Hummm, maybe yes and maybe no. 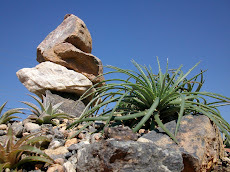 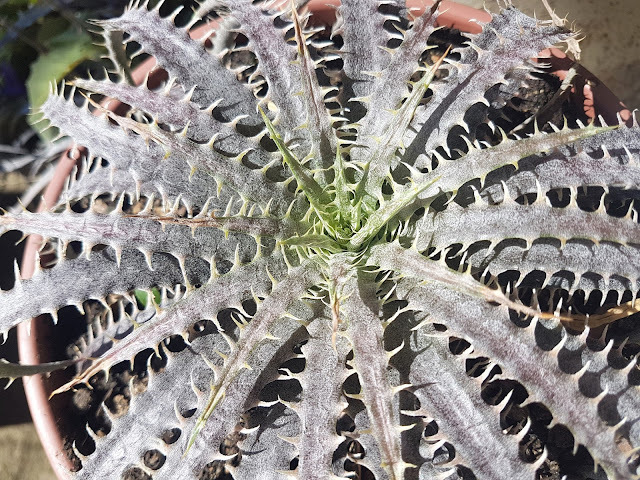 It is a brand new finding some 300km southwest Dyckia delicata lives in nature. 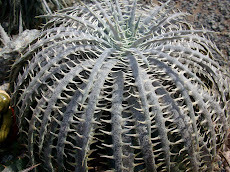 Thank to a Internet video made by trillers some Botanists saw something special and took the time to search for it. 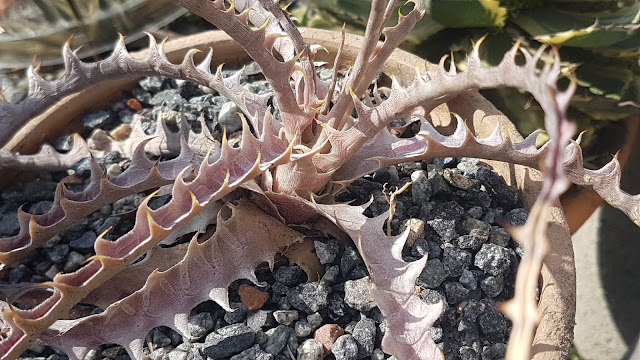 The land lord gave them permission to see the surroundings and several other species were there ans what a surprise a looking like delicata was there too and many many of them. 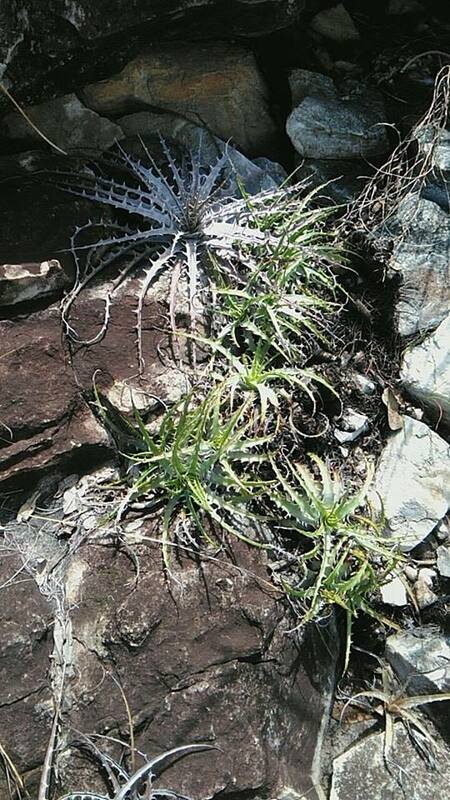 How this plant reached there? 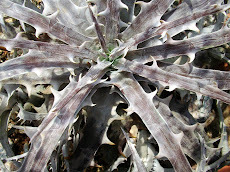 Maybe delicata was never there ans chances are this plant is a natural hybrid. 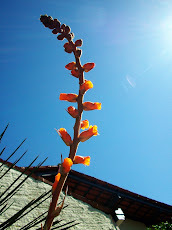 Flowers were never seen. This explains more than we see and know about Dyckias. 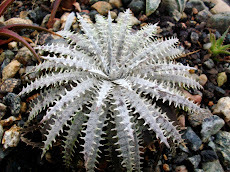 How species differentiate themselves from each other? 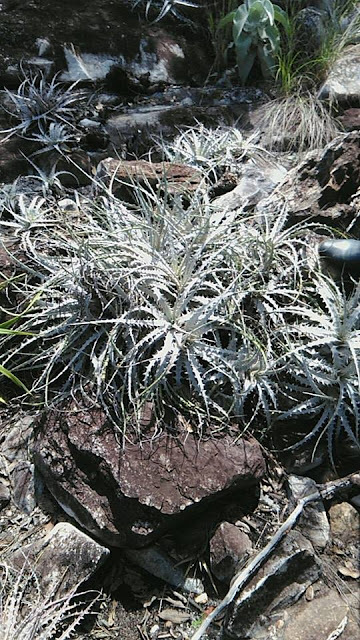 The southernmost Brazilian Dyckias are the most extensively studied ones. 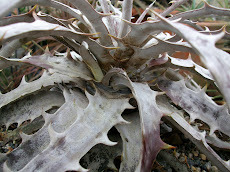 Maybe long ago and far away in time we had just one single species and all we see today comes and derives from it. 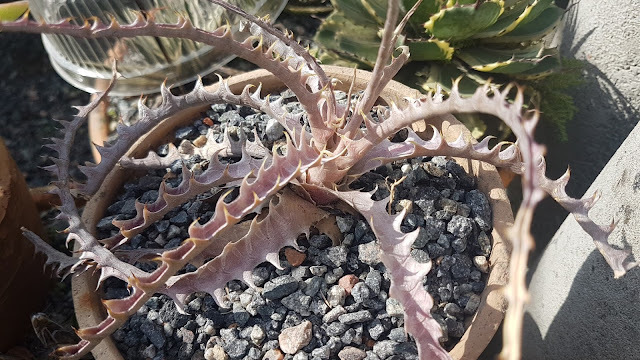 This primeval one Dyckia may be one Dyckia tuberosa. 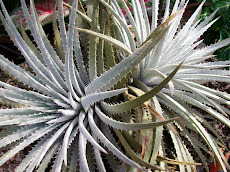 So all the modern species come from tuberosa and the mixes occurred in nature. Rio Grand do Sul has many many natural Dyckia hybrids, many taken as species for they eluded scientists. 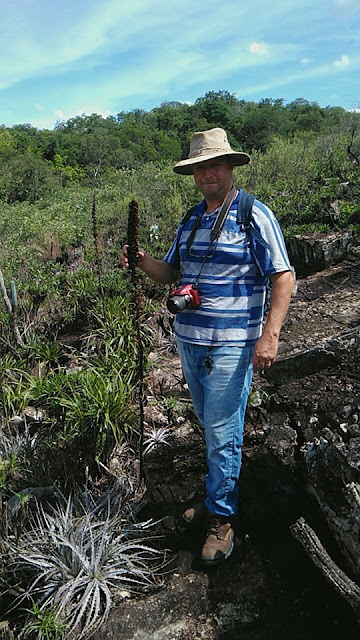 Things are getting cleared thank to this South botanists group in Santa Maria Federal University, Universidade Federal de Santa Maria. 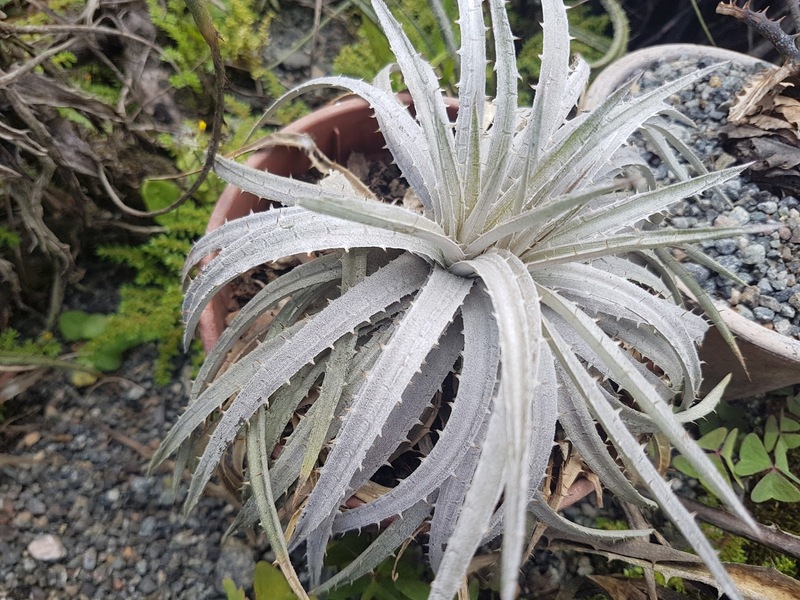 We are anxious for its flowers, will they be yellow? 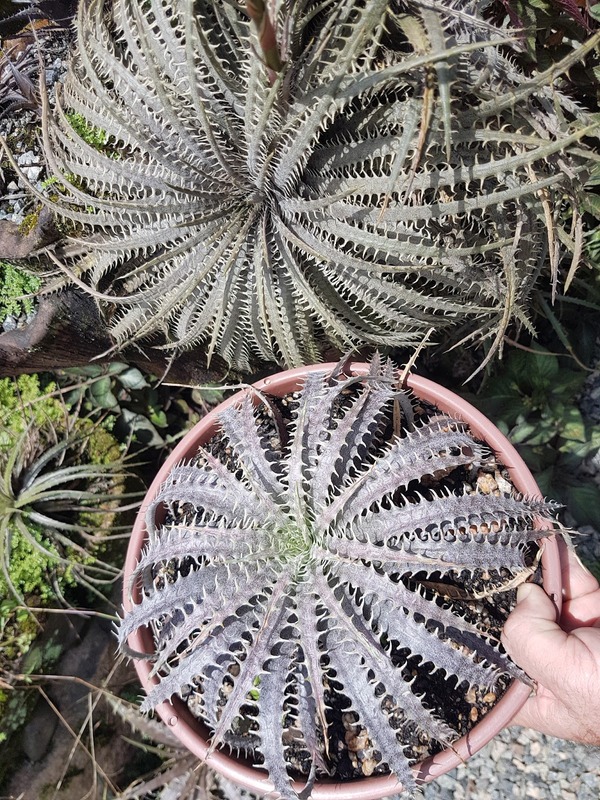 Seeds will be bigger? 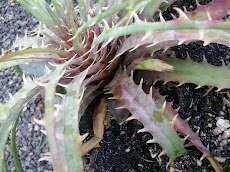 Racemous stalk or one unbranched one? 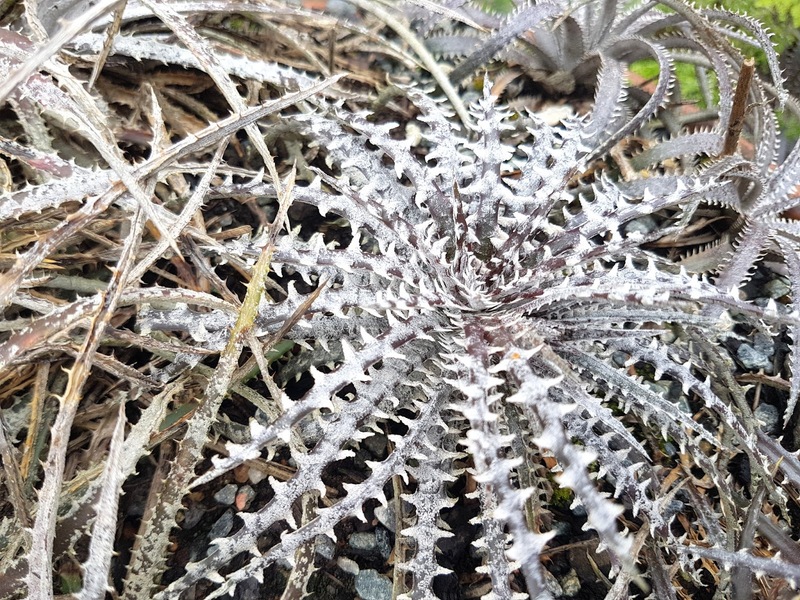 Dyckia neo-jonesiana was found in the center of the Southernmost Brazilian State, Rio Grande do Sul. 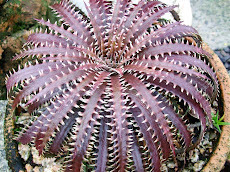 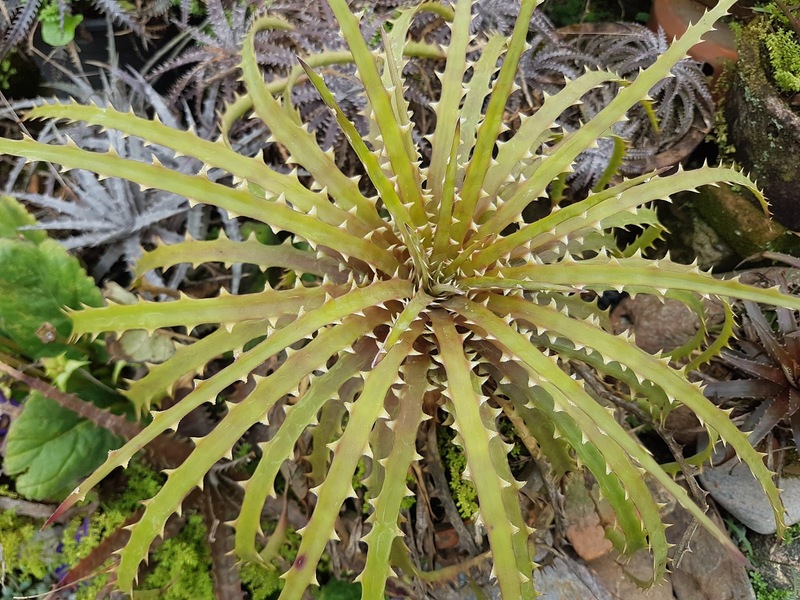 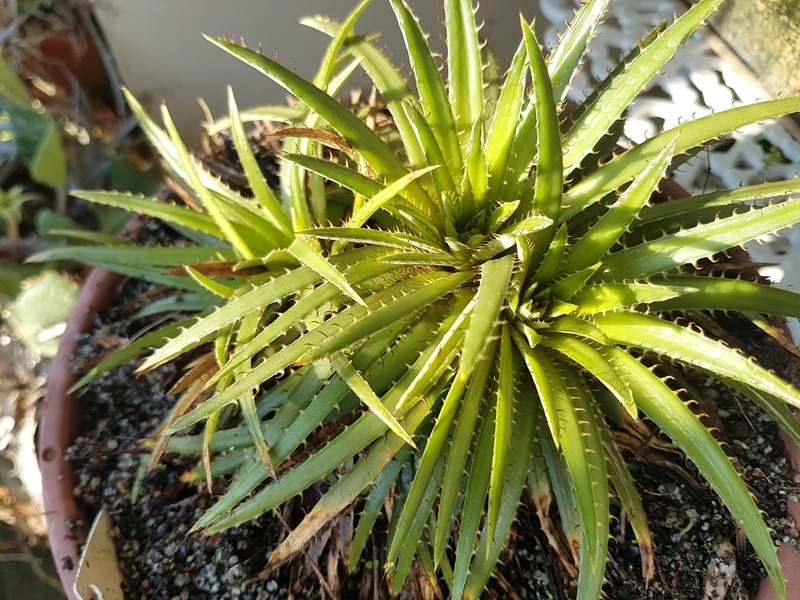 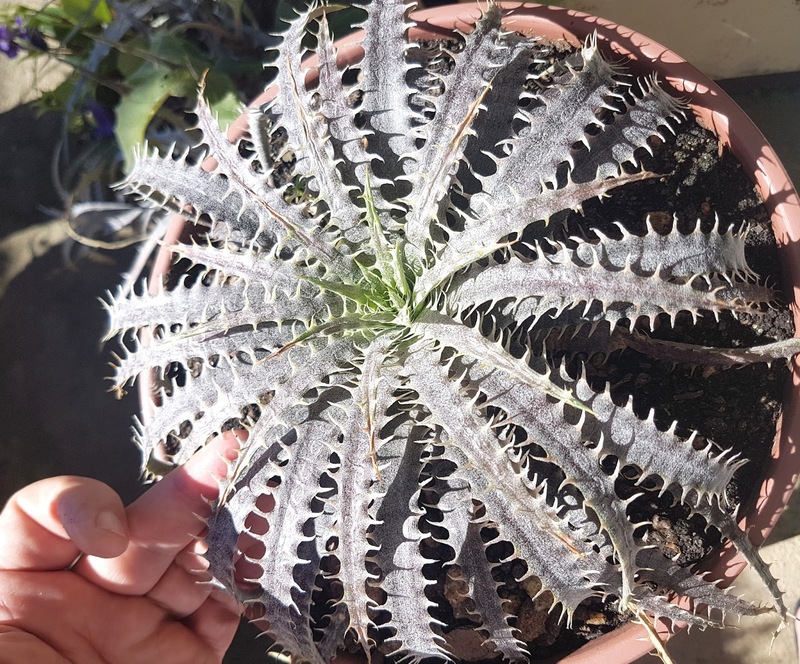 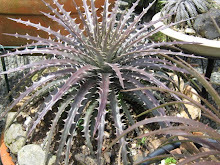 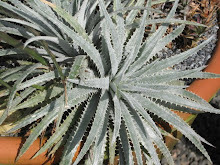 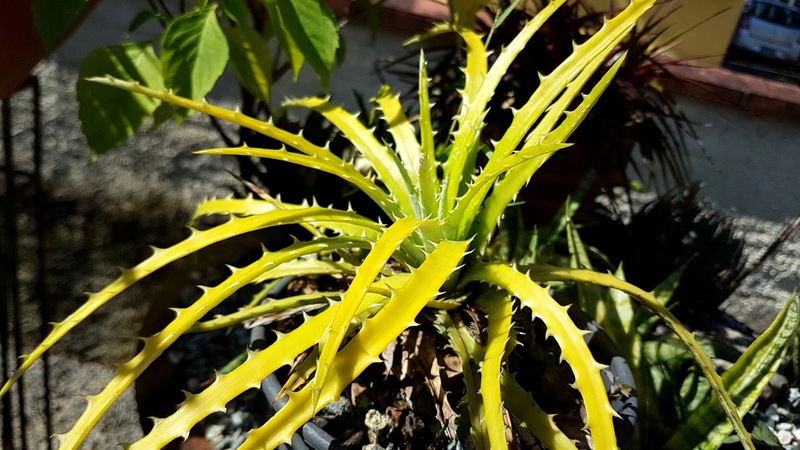 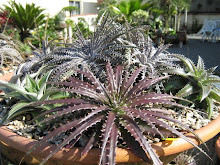 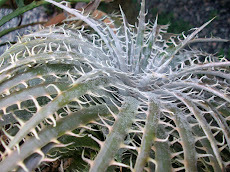 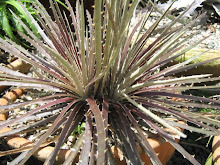 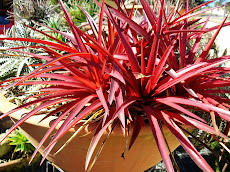 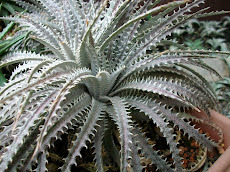 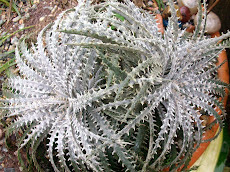 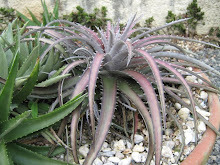 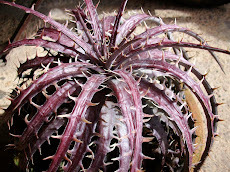 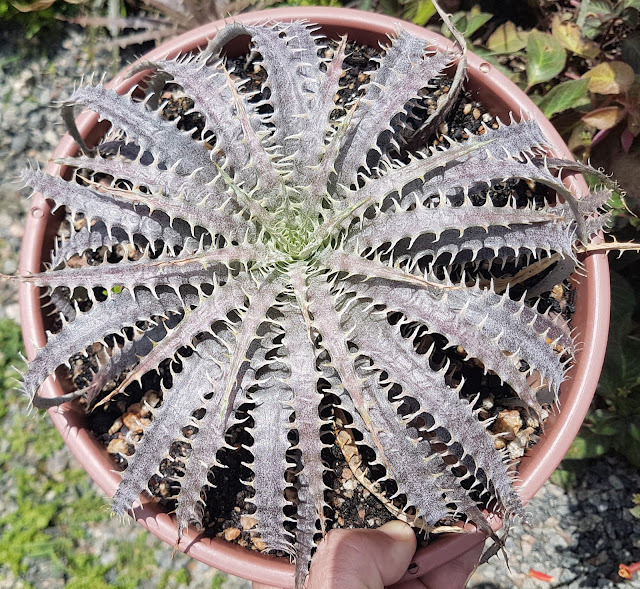 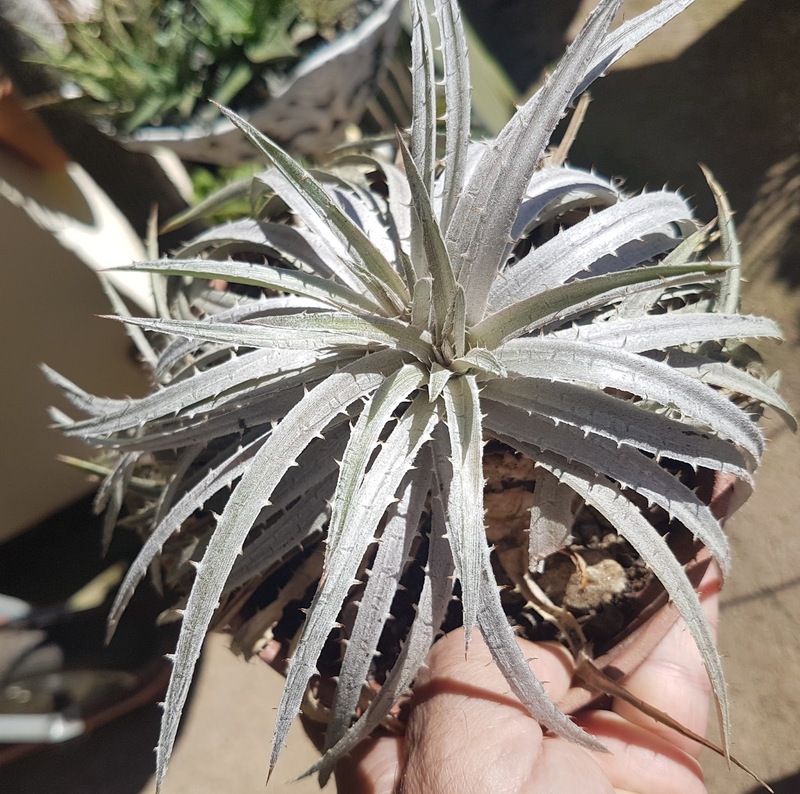 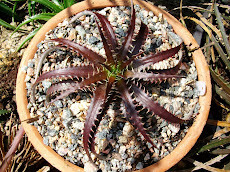 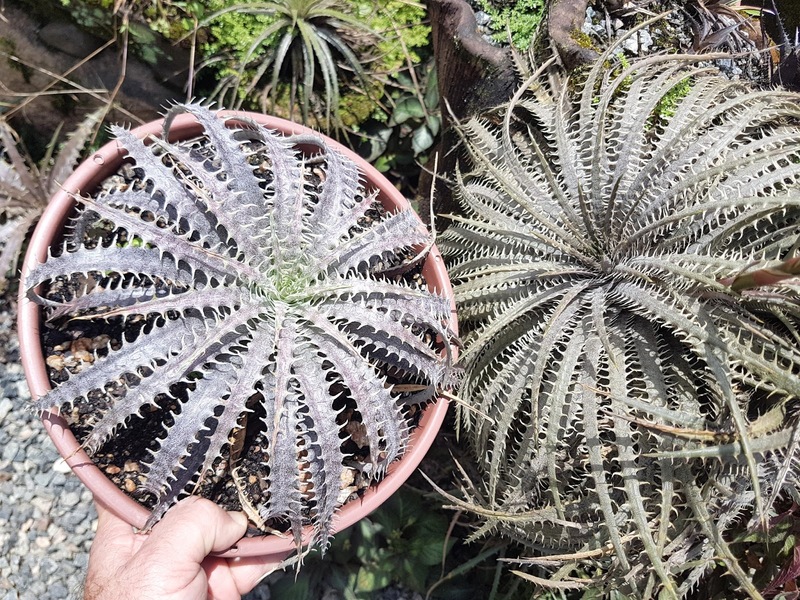 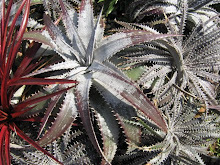 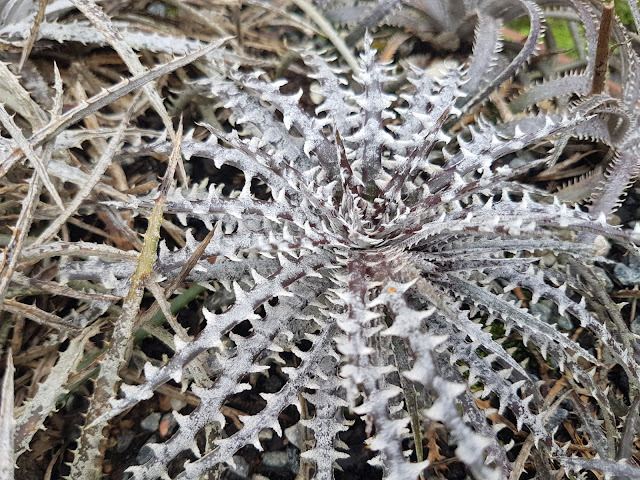 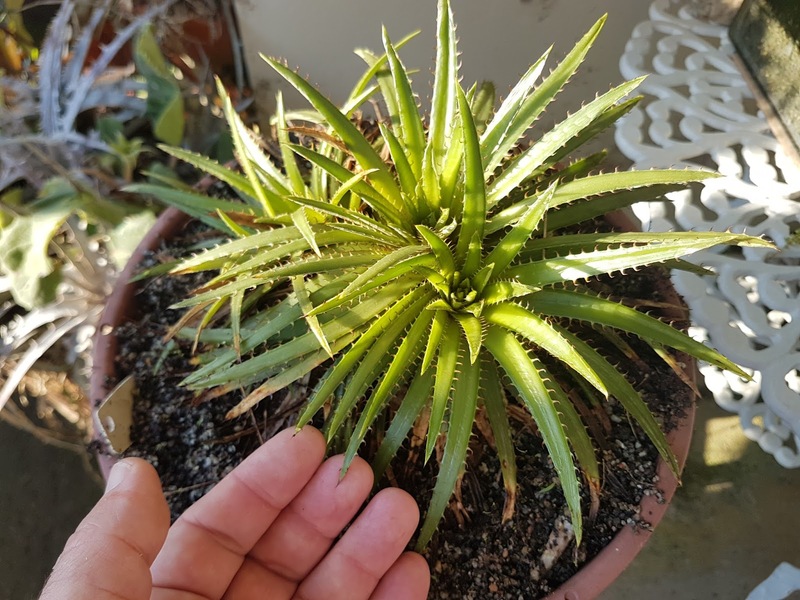 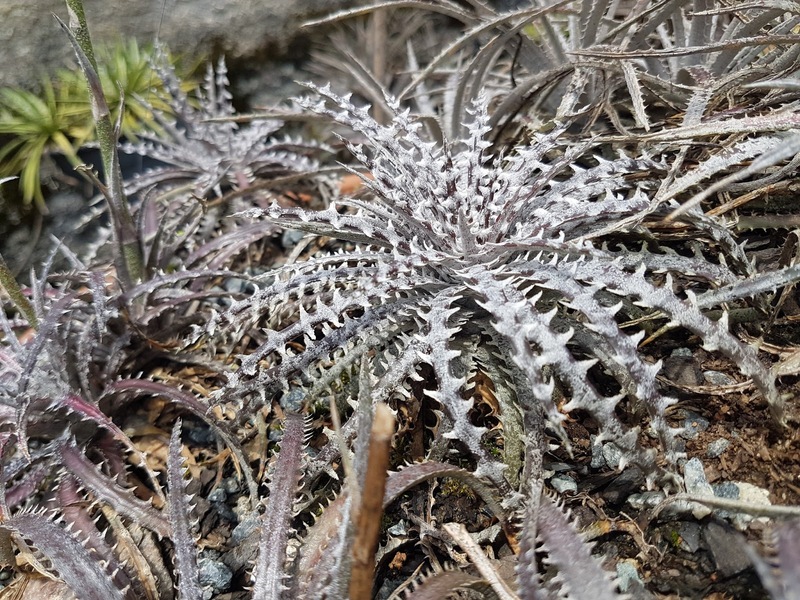 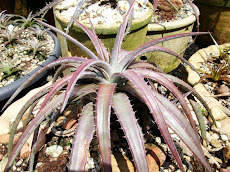 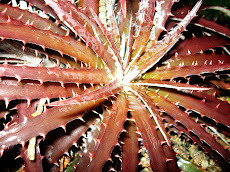 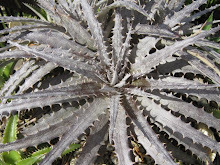 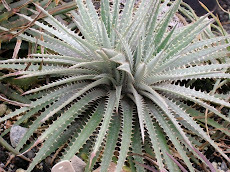 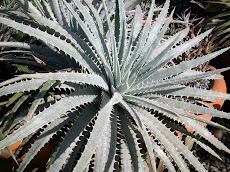 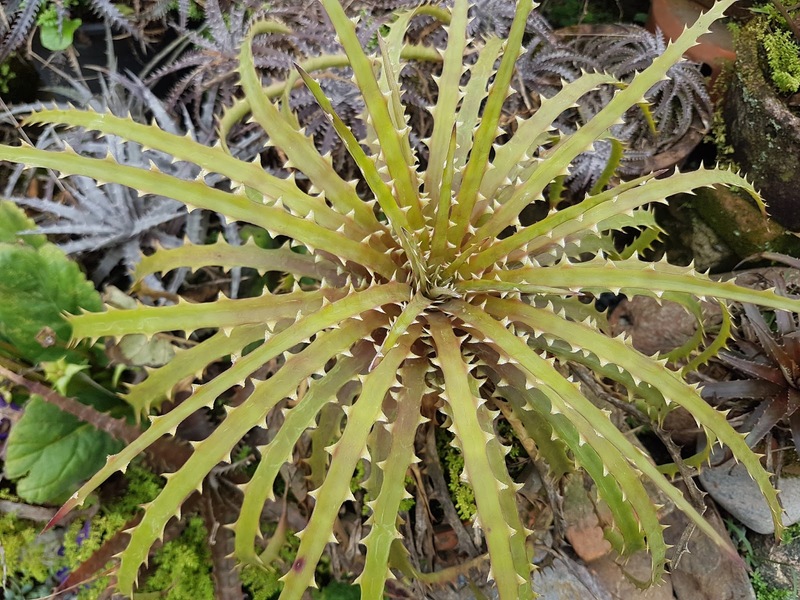 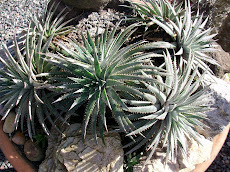 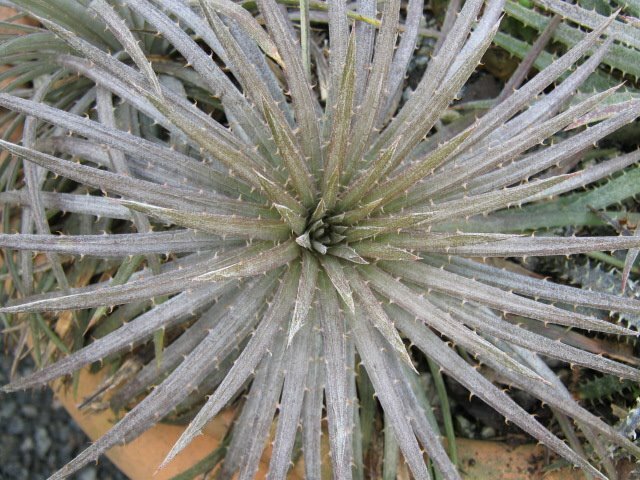 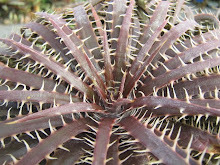 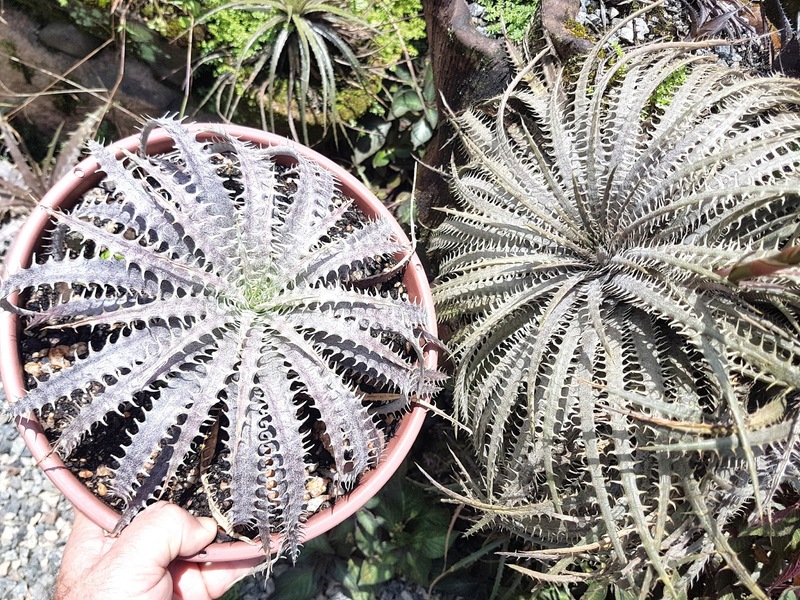 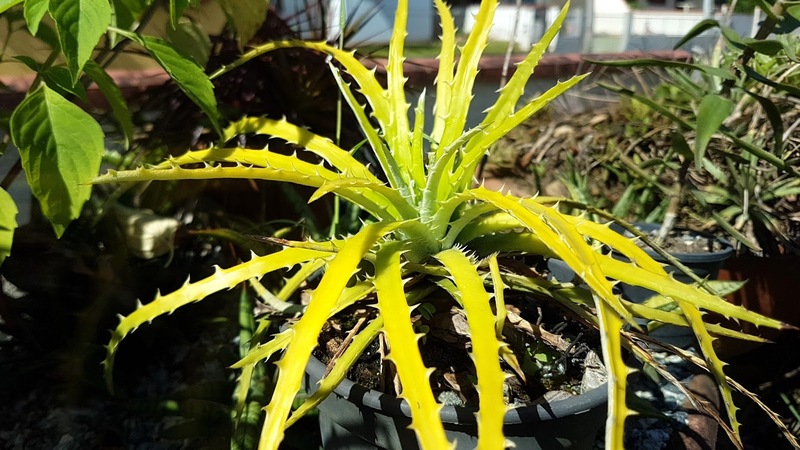 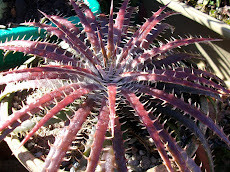 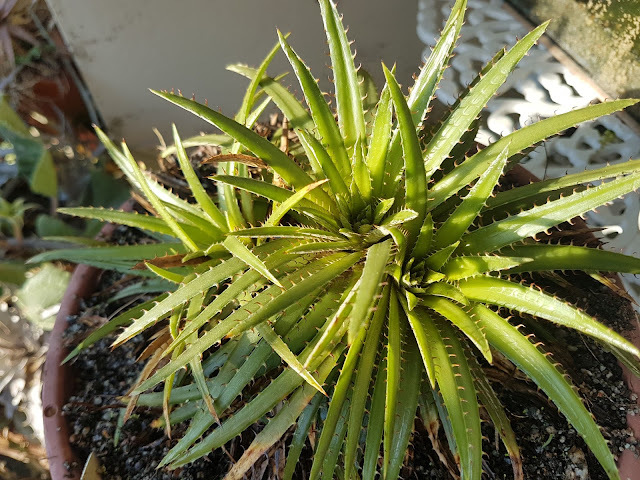 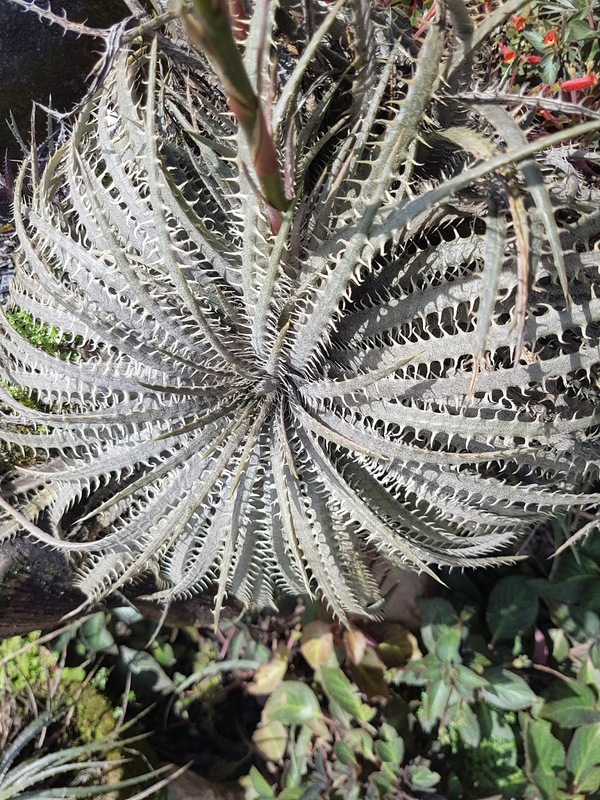 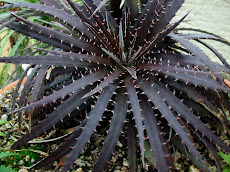 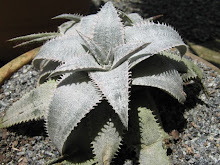 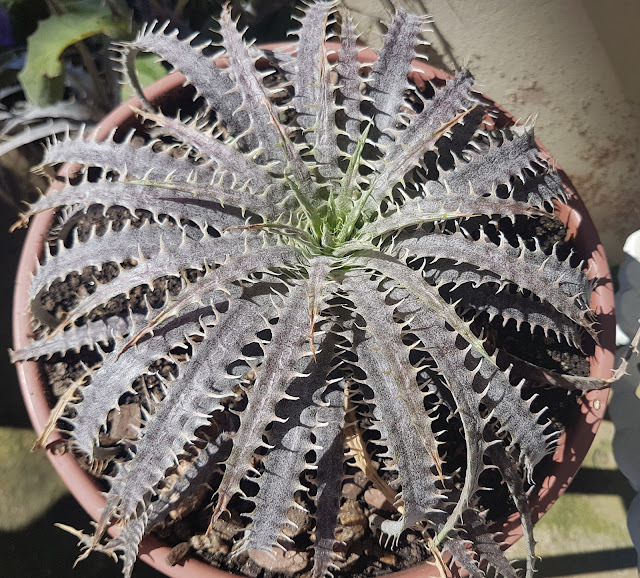 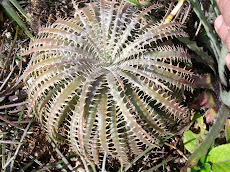 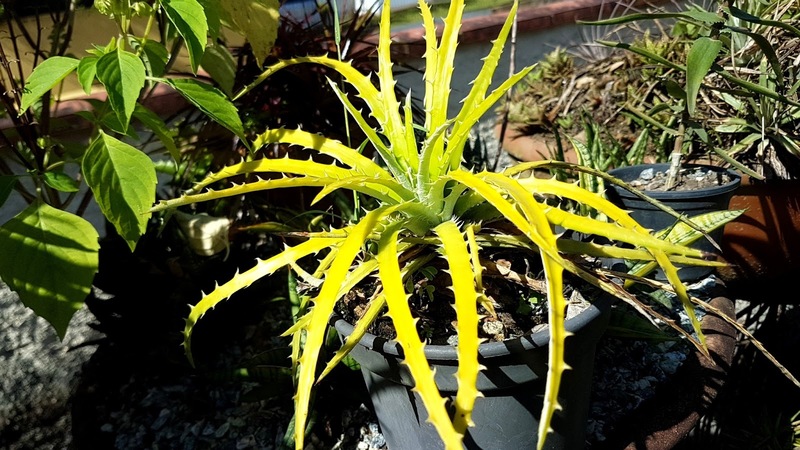 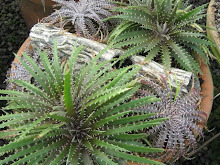 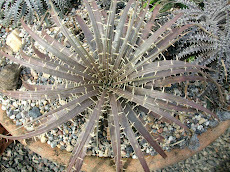 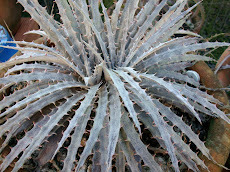 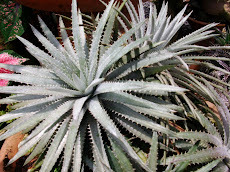 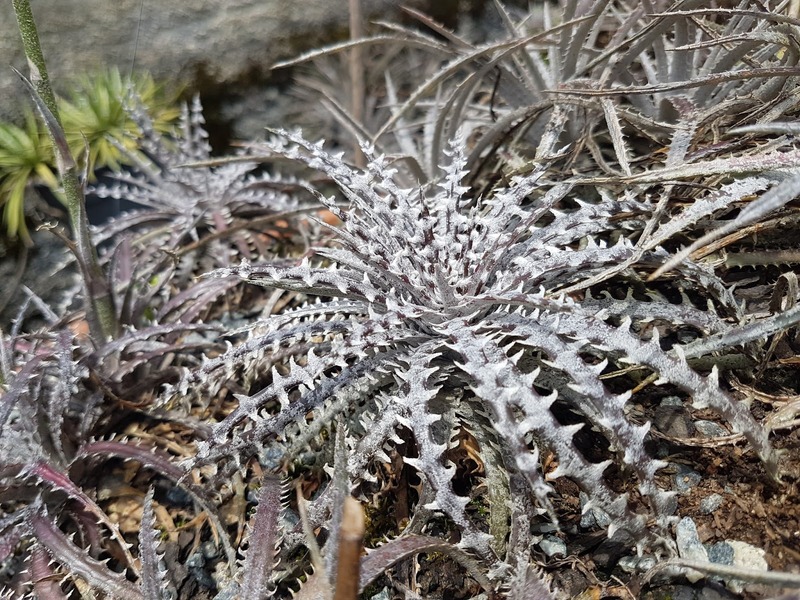 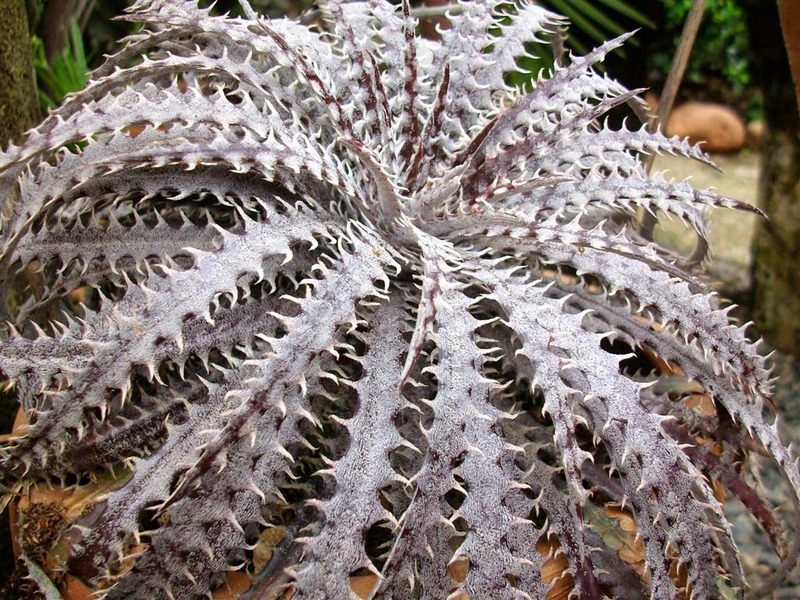 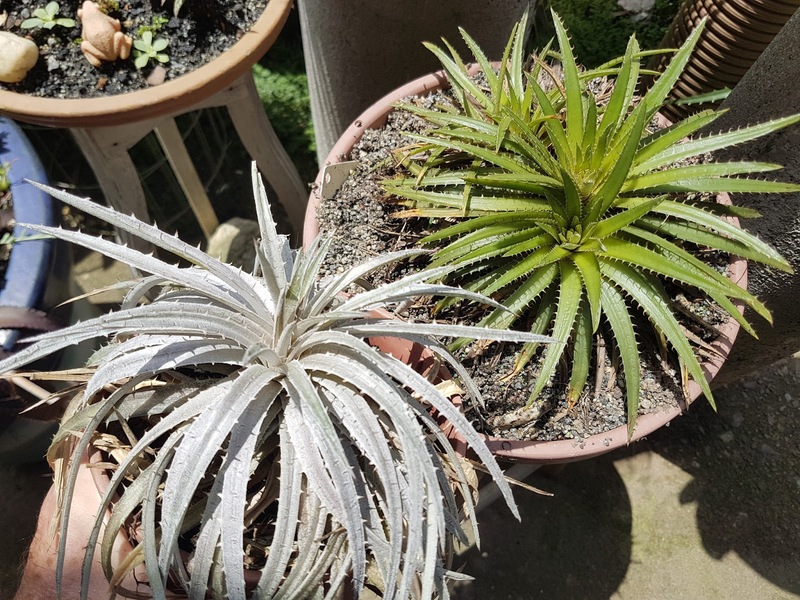 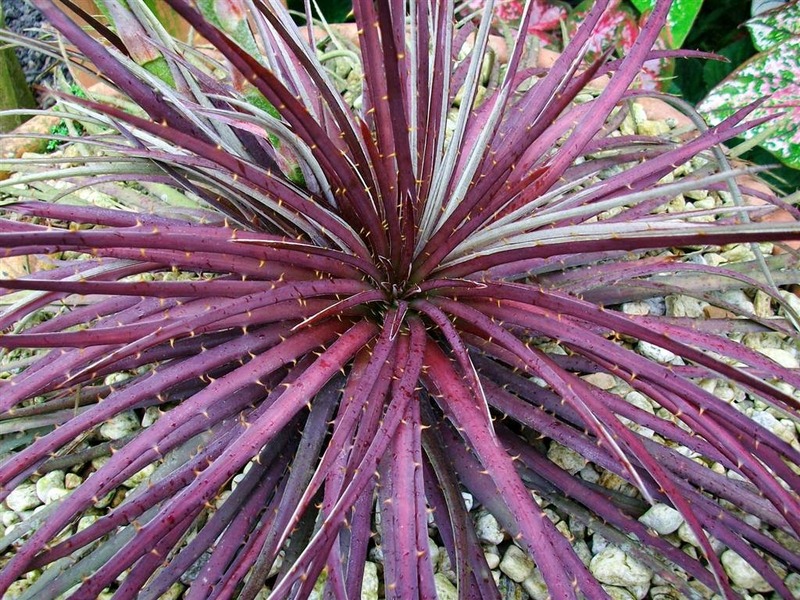 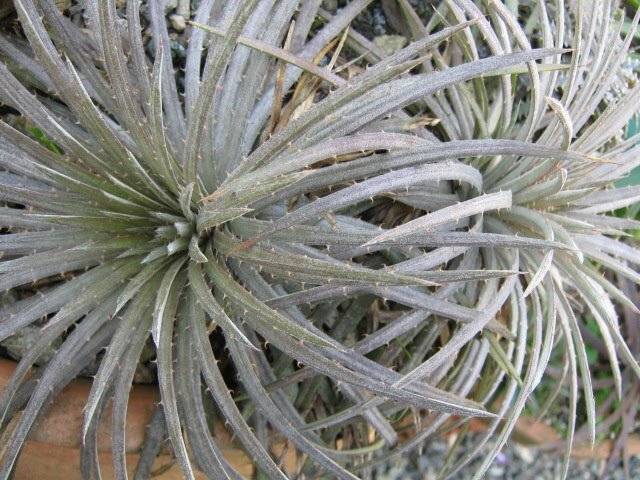 It is quite similar to Dyckia jonesiana. 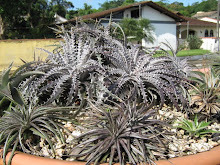 Just recently a very white form was found also by Dr. Jones Caldas one of the most respected Brazilian Botanist, a fine physician and a super good fellow, a real trump guy. He uses to visit me and every time he brings me very special gifts, king gifts!. 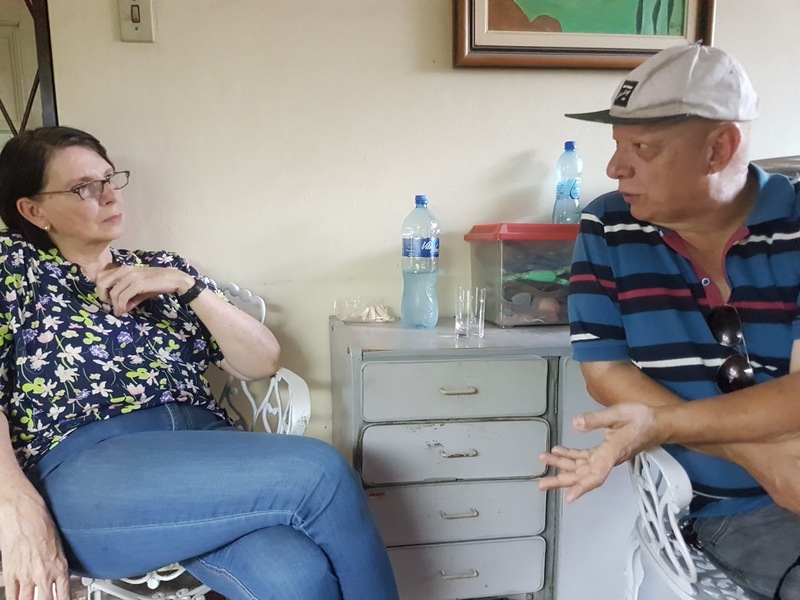 Dr. Jones and Dona Sílvia his wife. 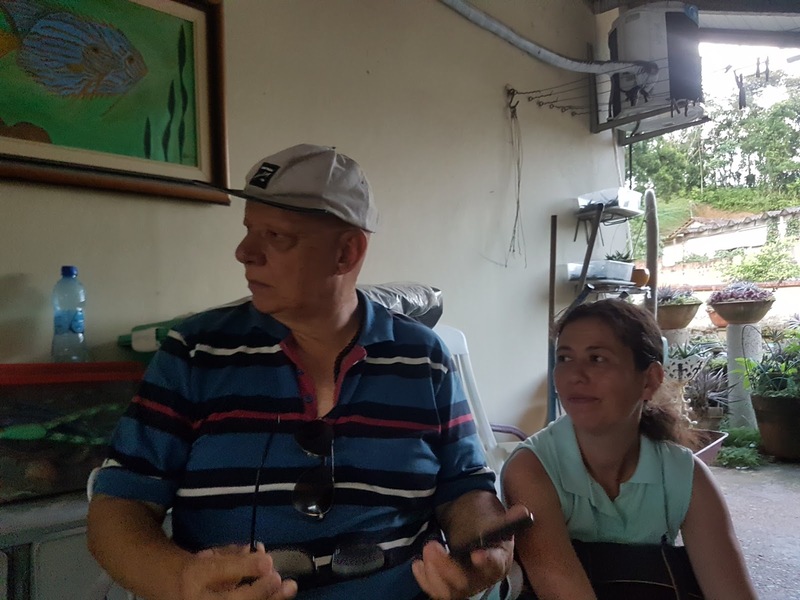 He with My beloved Raquel my wife. 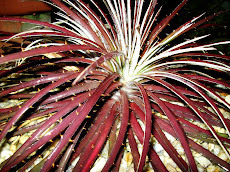 We can talk for ages for he knows all it is possible to be know on Southern Brazilian Dyckias and more than this he irradiates joy for living and sharing. 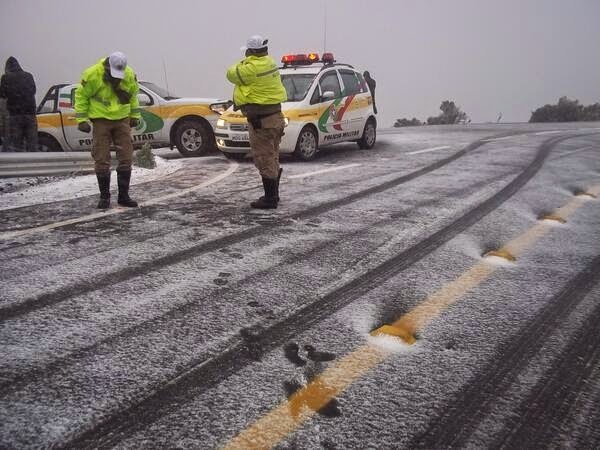 Silvia is always smiling. 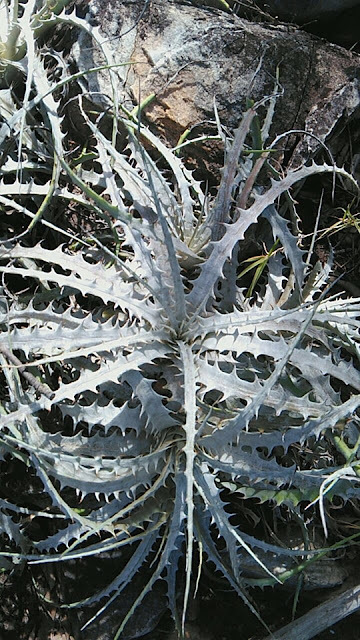 She is is the loveliest prenda (southern women are known so, prendas) one can find. 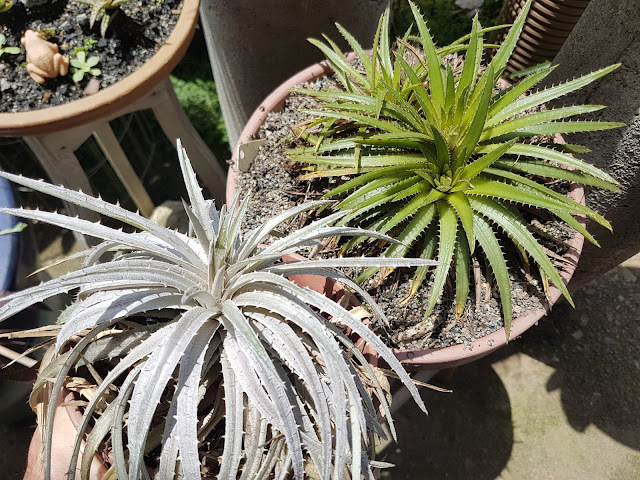 I love them both. 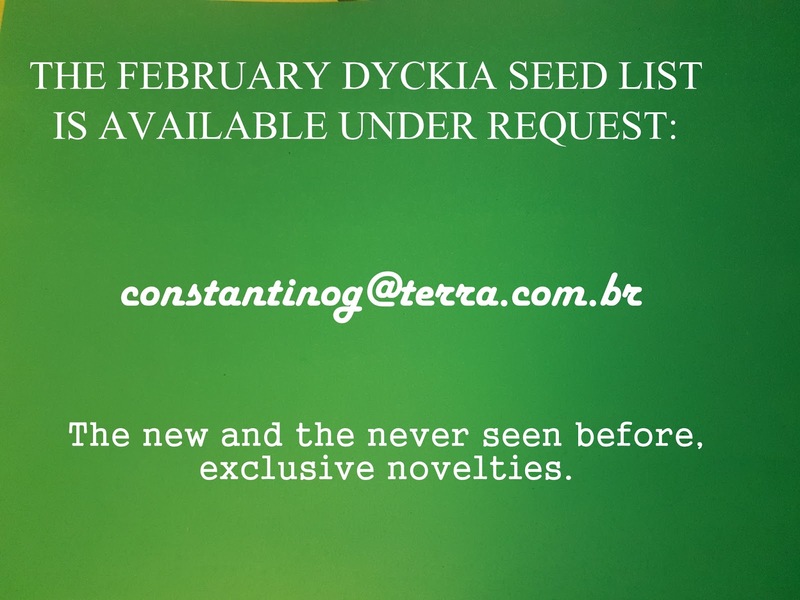 Here we have a saying for a fellow like Dr. Jone who knows lots about one issues: um livro aberto, an open book and he his a living open book on Dyckias. 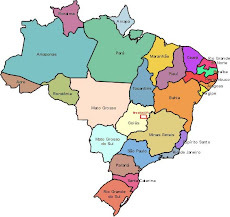 This was found in the middle of Rio Grande do Sul the southernmost Brazilian state. 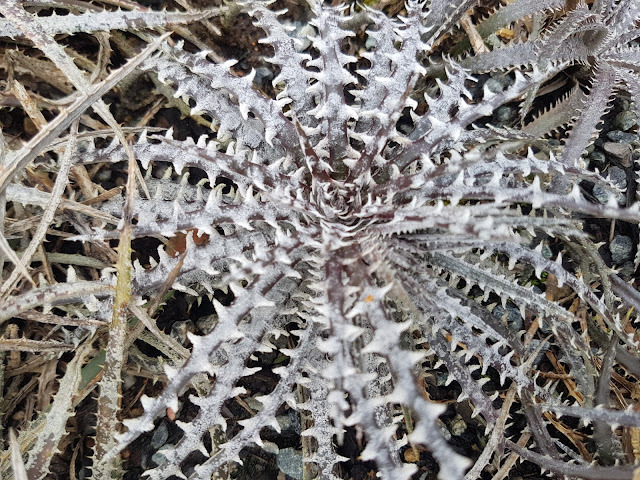 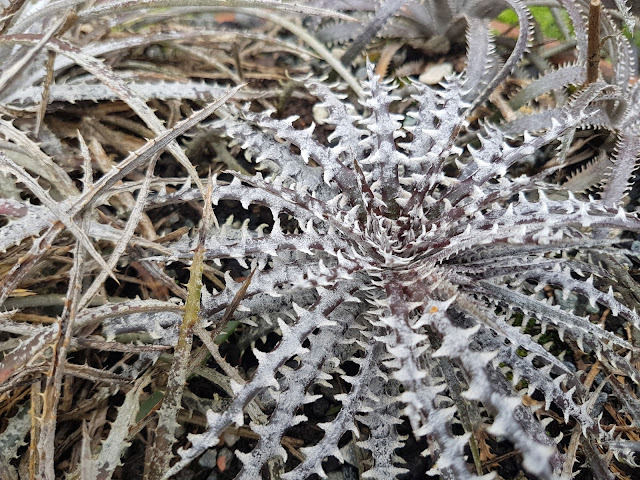 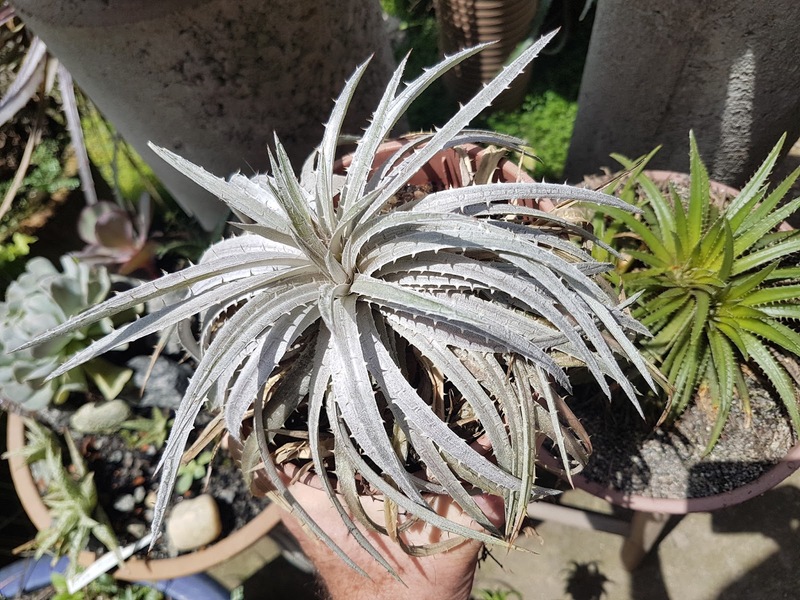 In 2017 Dr. Jones revealed during a phone call he found a super white form of Dyckia jonesiana, a shinning one, a so white plant it looks to be frost covered when the sky is blue. 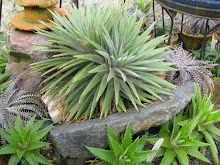 ..and he added "I have one and it is splitting in two, you will have one. 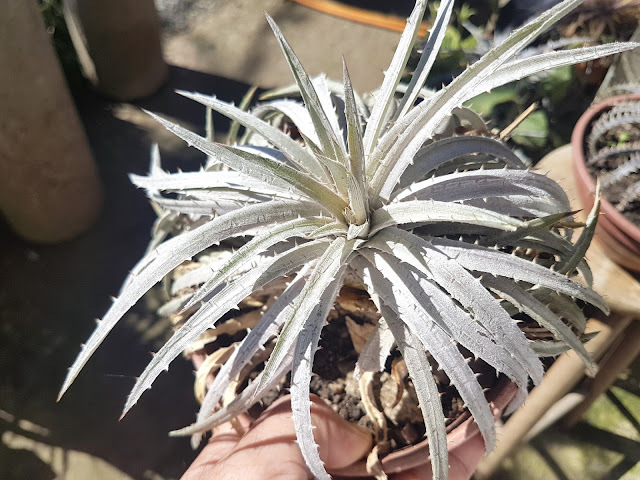 A small and super white shining beauty. 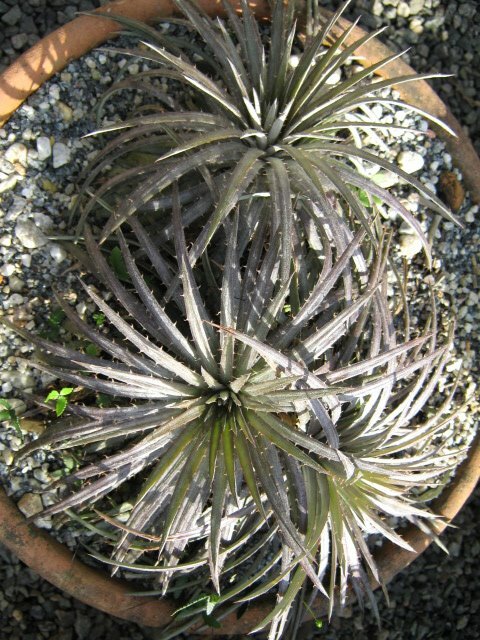 A small plant under cultivation. 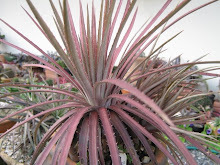 The plant is still suffering hence the rosed color and the funneled leaves. 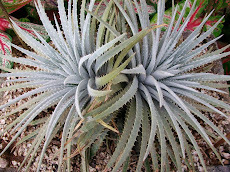 Mimetic and cute it looks like a tarantula. 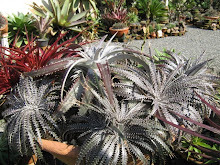 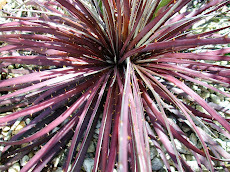 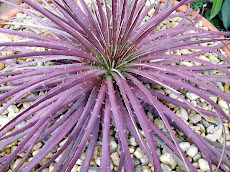 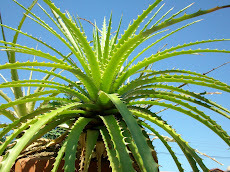 Seeds are included in February Dyckia seed list.